Those were the words of a brief story that ran in the Bremerton Sun 34 years ago, on Sept. 19, 1977. Why are we bringing it up now? It turns out his violent stabbing death had eluded kitsapsun.com‘s database of unsolved homicides spanning the last half-century. We published the database in May 2010 following several months of research. We knew we might miss a case or two. And sure enough, after the database was posted, we received several calls and emails that referenced deaths we’d missed. Earlier this year, we relayed the story of 20-year-old Matthew Evans, when his body was found on a Saturday morning in August 1993 along Old Clifton Road. His death, classified as a homicide, has been added as well. But I’d also heard from readers in Poulsbo since the database was published. And so I asked the Poulsbo Police Department to look in their files and see if they had any cold cases. I got some limited information this week, but it included a date of death: September 16, 1977. 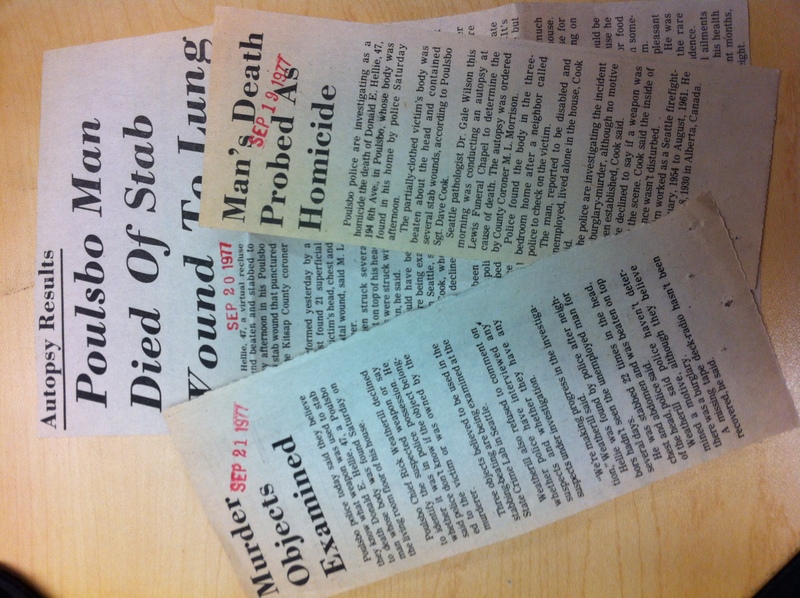 Using that, I got into our newspaper archives and found a few clippings around that date. 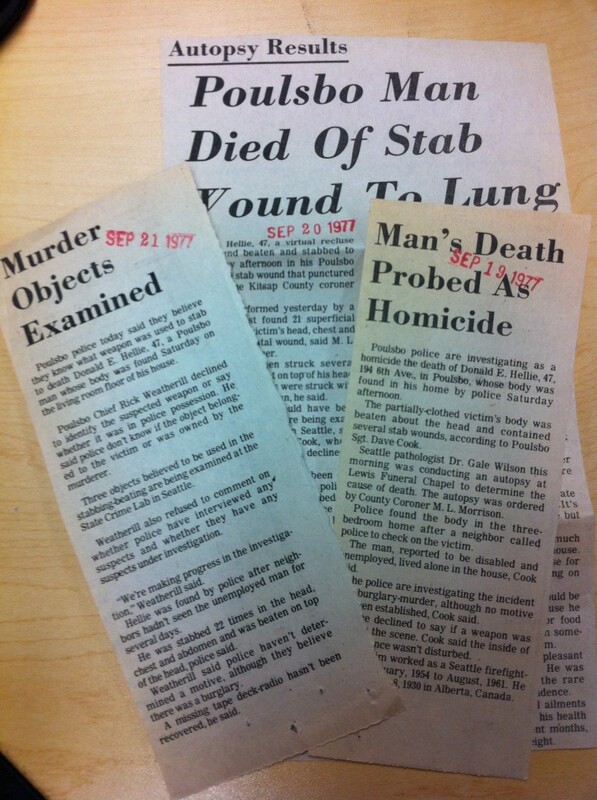 Lo and behold, I found three articles (which you see here) pertaining to the homicide. The case is cold, but open — and now, added to the database. And as we’ve said before, it’s important to remember these cases for posterity. But any helpful tips toward solving the cases will have made the project worthwhile. Wow, I remember that day like it was yesterday. I lived behind the victim. I was 9 years old. He was always nice to me. I didn’t realize the case hadn’t been solved yet. There was some theories flying around at the time. By the way that street is now 9th ave when Poulsbo remaned all of their streets in the early eighties. They know who the suspect is..apparantly just wasn’t enough evidence to charge him..